This is being posted before the usual time so you can enjoy a very special storytelling festival if you are within driving distance of Flint, Michigan. Go to Michigan Storytellers Festival for the latest information. This is a special anniversary for the festival and so it is 100% Michigan tellers this year! While we're thinking of storytelling, earlier here I gave the wonderful story, "The Twelve Months", and a bit of background about Parker Fillmore and another book, The Shoemaker's Apron; Czechoslovak Folk and Fairy Tales, he published. 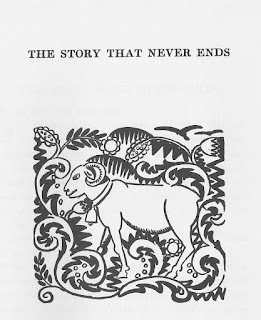 Today's story comes from back in 1919 in his Czechoslovak Fairy Tales. While his preface mentions a variety of important native writers, he didn't bother to say which tales were Czech, Moravian, or Slovakian tales and only explained the writers for two stories. 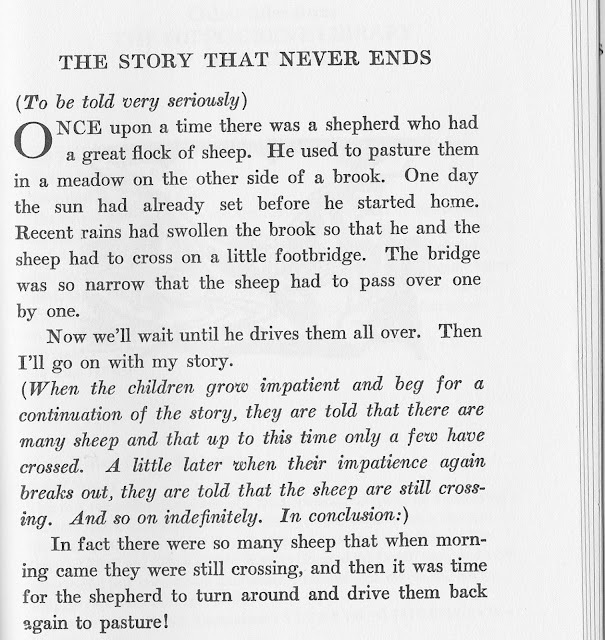 The entire volume is online to enjoy at the delightful World of Tales site, which is keeping so many of these beautiful old folktale anthologies available and so it, too, is Keeping the Public in Public Domain. Project Gutenberg also has the book if you prefer to download the entire book from there. (World of Tales would be good for online reading, but each tale would need a download if you wanted to save it.) The Shoemaker's Apron; Czechoslovak Folk and Fairy Tales can also be found at Project Gutenberg. One year after Czechoslovak Fairy Tales Fillmore published Shoemaker's Apron. Fillmore's one of those authors with a great sense of storytelling and almost 100 years later his versions are still perfect for telling. 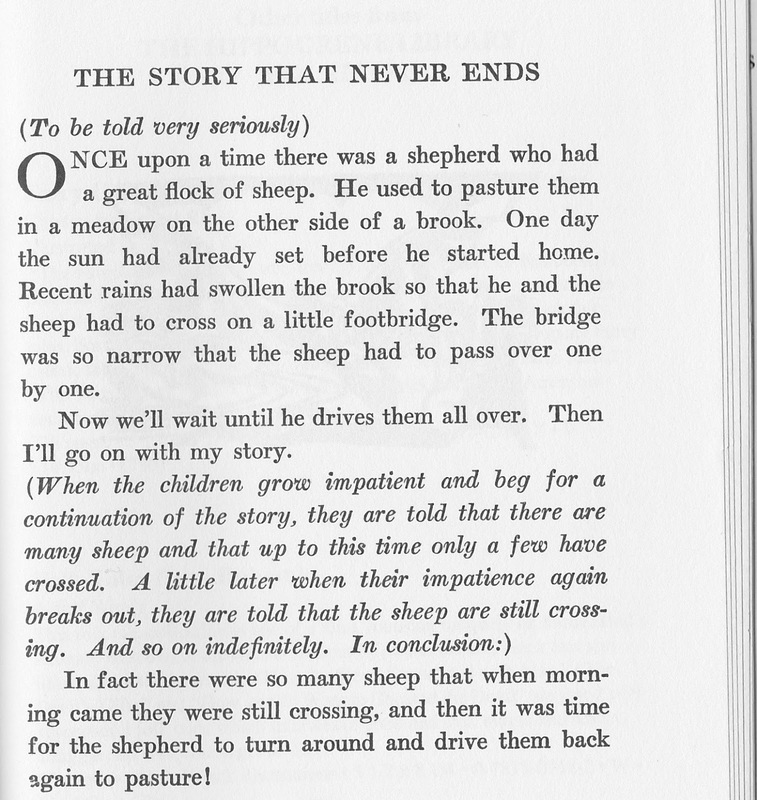 On today's story, he even gives great storytelling directions on this very short story. 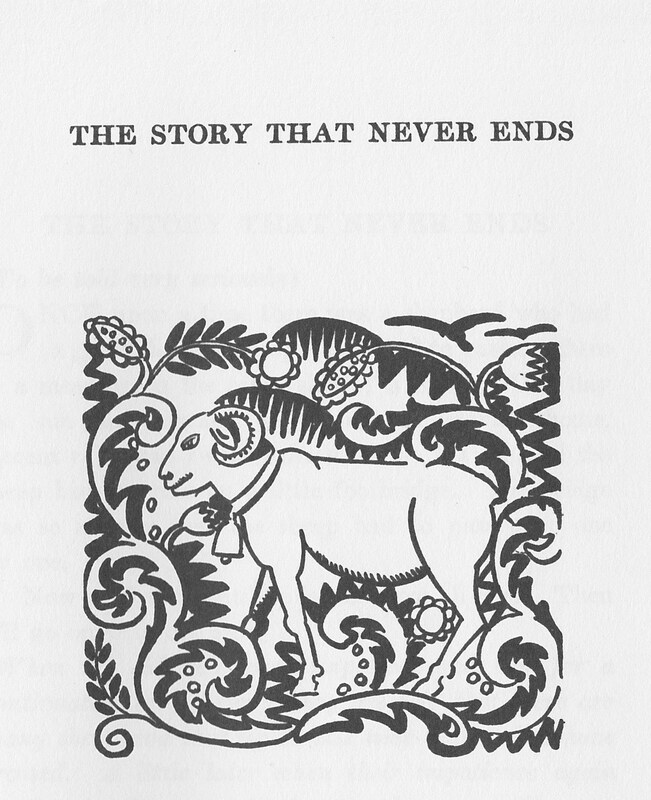 It's introduced by a drawing from the book by Czech artist, Jan Matulka. There's another type of story that never ends. For some unknown reason I've heard the type called "French Irritating Tales." They are the kind of story where it returns to the beginning lines of the story and starts all over again in an endless loop. May your storytelling be endless and Keep the Public in Public Domain!